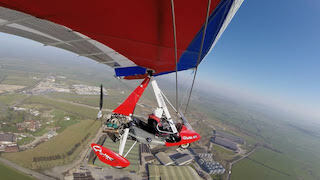 One of the most exciting aspects of flying a microlight is the ability to go touring. 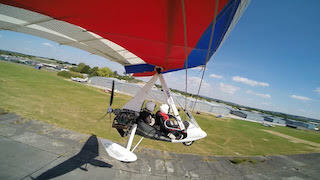 Learn to Fly has invested in the PulsR, "P&M's grand tourer!" Over the course of 2019 we will be developing itineraries involving multi day trips allowing you to tour and train in the worlds best flex-wing. 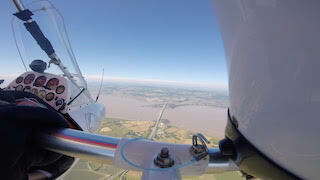 Flying to Caernarfon from Henstridge via Haverford West. A beautiful coastal trip taking in the North coast of Devon, a hop over the Bristol Channel, routing west along the southern Welsh coast line to Swansea and the Gower Pensinsular. 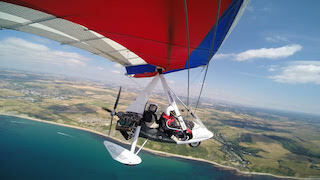 This stunning coastal flight is hard to match and is just an hour or two's flying time from Hesntridge. From Swansea we push on to Haverford West and the stunning western southern tip of Wales in time to refuel and recharge our batteries. A flight north now takes up the Welsh coast to Caernarfon. A number of landing possibilities are en route but we finish our flight at Caernarfon having seen the beautiful escarpment of Cader Idirs, and if conditions allow a close up of the beautiful northern Welsh mountains and Snowdonia. A local bus ride into Caernarfon is available and there are a number of friendly hotels and BNB's to stay at and one of the oldest castles in England built in the 12c by Edward 3rd. A return flight to Henstridge can take in the parts we have so far missed or we can retrace our steps down the coast. Changes in the weather and clouds will make for an alternative perspective. 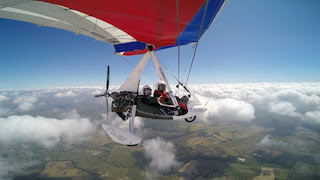 Depending on the winds we can fly back in 2-3 hours. For the fit and active a hike up Snowdon is highly recommend and your instructor Ian will be encouraging you to stretch your legs. An extra day will be needed.